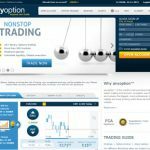 AnyOption is an online binary broker that offers traders a versatile asset index that yields bountiful financial opportunities and investment returns. 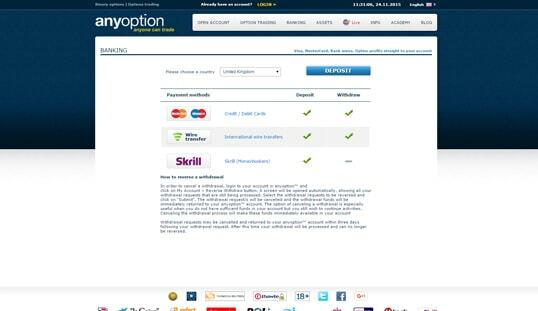 AnyOption is one of the binary trading platforms to pioneer the integration of Bitcoin with binary options. With Bitcoin binary options becoming the latest trend in this sector, the demand for it continues to soar, and this places this trading platform at a good position in the market. This binary broker has been offering binary trading services since 2008. Through the years, it has already established a viable reputation among online traders by providing a steadfast and secure line of services and businesses. It is also regulated by the Cyprus Securities Exchange Commission (CySEC). 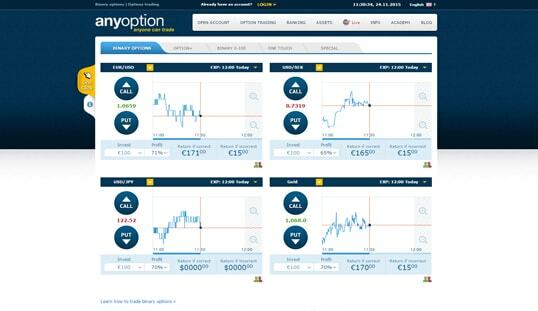 AnyOption is one of the renowned binary trading platforms to house a diverse catalog of tradable assets, including expansive lists of stocks, indices, currency pairs, and commodities. With the demand for Bitcoin binary options, the digital currency became one of the latest additions to the asset index, and its extreme volatility makes the trading experience on AnyOption all the more thrilling and promising. Bitcoin is traded on AnyOption through its Special instrument, which enables investors to choose whether the Bitcoin price vis-à-vis the US dollar will be above or below a specific price in a given time or date (usually in biweekly intervals). A positive trade can return profits of up to 120%, and each option comes with an expiry date, giving traders more options in investing. 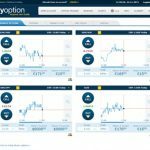 Moreover, AnyOption offers market analyses for players to stay updated with the daily market trends and signal beneficial to every trade. 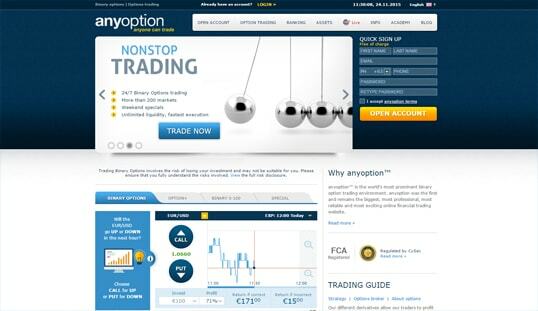 AnyOption has improved their website and trading platform since it launched in the binary trading market. There are now five trading instruments—namely, Binary Options, Option+, Binary 0-100, One Touch, and Special—investors can use to maximize their potential to generate more returns. There is also no need to download and install software in order to begin trading since the platform functions efficiently in any web browser. Other than the technology developed by AnyOption, it also taps the services provided by Thomson Reuters when it comes to the expiry levels of every option. 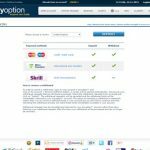 New binary traders must open an account with AnyOption. This is mandatory, but it comes free of charges, so anyone regardless of trading background can join. The entire process takes about a few minutes only and will initially ask for the complete name, a valid email address, mobile phone number, and a password. AnyOption is known for its reliable security, so all information shared is kept safe. The only available payment options on this platform are the conventional methods like credit cards and bank accounts. Still, you can use your Bitcoin for trading through Skrill and Wire Transfer as long as you convert them to real-money currencies. Another great thing about AnyOption is the fact that it has an exclusive mobile app that is fully operational on handheld devices. Available on both Apple Store and Google Play, the AnyOption app enables you to continue with your trade with precision and effectivity. The AnyOption support department is available through phone, email, and live chat. You can also reach them on their Facebook and Twitter page for updates.